Even the cult classic ‘Oru CBI Diary Kurippu’ was inspired by a real crime. Srinath Rajendran who directed Dulquer Salmaan in his debut film Second Show will be teaming up with the actor again to make a film on notorious criminal Sukamara Kurup. The announcement has already generated a lot of curiosity since the mystery surrounding Sukumara Kurup has remained unsolved for over 30 years. In 1984, Sukumara Kurup faked his own death by murdering a man who resembled him in order to claim insurance money. He was never caught. The crime has inspired films in the past, too - NH 47 and Pinneyum. But it’s not the first such case to inspire films. Here's a look at real life murders that have inspired Malayalam cinema. The Thiruvalla Ammalu case in which a woman whose husband was having an affair was found murdered, inspired a book, and a film based on the novel. In the film, Sathyan plays the role of a happy family man who runs a college. He falls in love with a student, whose parents take advantage of the situation and fleece him. When his wife tries to drive some sense into him, the husband beats her up and she falls unconscious. Thinking that she's dead, he later shoots her on the suggestion of his father to make it look like a suicide. This film was inspired by the sensational Karikkanvilla murder case of 1980. An aged, childless couple - KC George and Rachel - was found dead by the domestic help. Investigations revealed that they had been murdered by a relative and his friends who were drug addicts. and needed money. The only clue that the police had in the case was a set of footprints made by shoes that were not made in India. The film starred Mohanlal, Ravikumar, and Ravindran. Perhaps the most famous whodunit in Malayalam cinema, this Mammootty starrer brought to screen the amazing CBI man Sethurama Iyer. His character was inspired by a real life police officer named Radhavinod Raju who cracked the famous Polakkulam Peethambaran case. In April 1983, a man named Polakkulam Peethambaran was found in a pool of blood on the premises of Ernakulam Tourist Home in the early hours of the morning. Peethambaran worked as the receptionist at the hotel and on that fateful day, he fell from the hotel's terrace and died. The famous 'dummy' technique that Sethurama Iyer (Mammootty) uses in the film to establish that Omana (Lissy) had been murdered and that her death was not a suicide was used in the Polakkulam case as well. Based on the Rajan case, this film is set during the Emergency period and is about a student who dies in police custody due to torture. P Rajan was a student at the Regional Engineering College (REC) in Calicut. In 1976, he was picked up by the police and it was only after a long legal battle that his family found out the truth. However, they never knew what happened to his remains. Starring Premji, Archana, and Lakshmi Krishnamurthy, the film was made on the struggle that the real life Rajan's father Prof. Eachara Warrier went through. 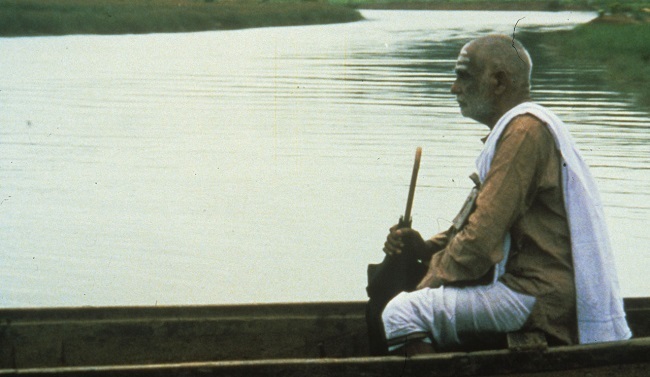 This film was based on the sensational Sister Abhaya murder case which shook Kerala in 1992. A young nun, Abhaya, was found dead in the well of St Pius X Convent in Kottayam. Her death was first considered to be a suicide but it later emerged that she had been murdered by two priests and a nun. Abhaya had allegedly found the three of them in a "compromising position." Crime File had the bombastic Suresh Gopi playing the lead role. This film is based on a novel which was written about the first registered murder case in Kerala. In 1957, a young woman from a lower caste was raped and murdered in the village of Paleri. The book as well as the novel are about an investigator who looks into the case 52 years since the crime. Almost like Stieg Larsson's The Girl With the Dragon Tattoo in ambition. Starring Mammootty in the lead role, the film received critical acclaim for its complex narrative style.